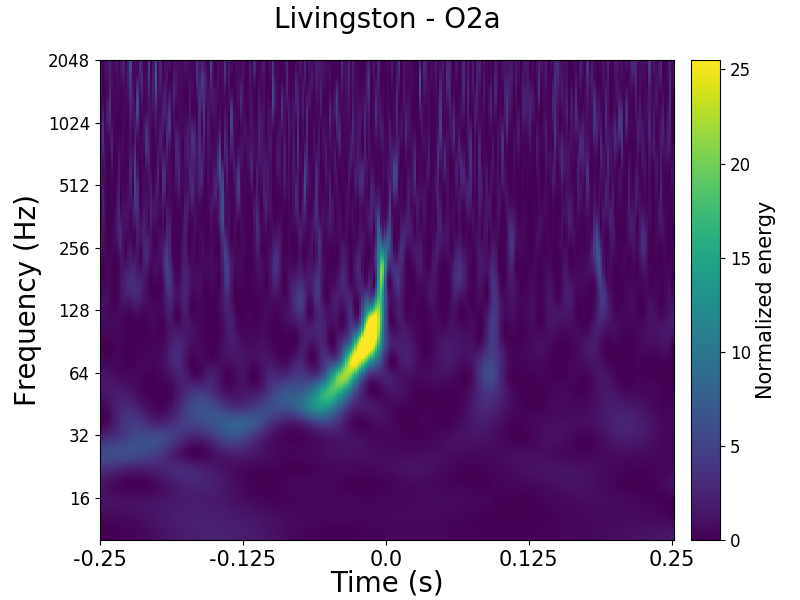 Spectrogram of the event as seen by LIGO’s detector in Livingston, Louisiana. Today’s Daily Zooniverse post is brought to you by the Gravity Spy team. Next Next post: Calling all Chicago-area Zooniverse volunteers!